Based, in part, on the much earlier SANTANA 23 D (1978). Capable of carrying 1300 lbs. of water ballast. Dry/trailering weight: 1755 lbs. Shown here is the 'C' (cruising?) version. 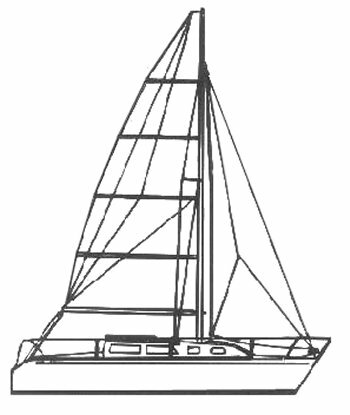 Other versions include A and R.
'R' version features retractable sprit for asym. spin.